« ‘Open Door’ – wellbeing through Craniosacral therapy! The whole thing has got me pondering how things can be the same, but different. The same because they feel familiar, have a rhythm and a structure… and different, because in reality, nothing is ever the same twice. This is true for each and every Craniosacral therapy session, each and every time we follow the same recipe and mostly everything in life. The beautiful, creative truth of impermanence – everything changes. This truth leads me, naturally, to discussing Lentil Soup. Ever since the beginning, I’ve made the ‘same’ lentil soup for lunch at our retreat – it’s never crossed my mind to choose anything different. Ahh, but we know of course, with the magic of impermanence each time it is utterly different. There are the obvious things – sometimes my chillis are hotter, my lentils are smoother, the cumin is more potent and I’m generous with the garlic. But it’s more than that. Eating lentil soup, on retreat, during a day when a brand new constellation of women have joined together to pay attention – these are the ingredients that lead to true, spontaneous and unexpected enjoyment – each mouthful a brand new experience. Now for the recipe – enjoy! 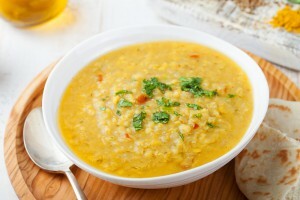 3 tbsp olive oil; 2 onions, chopped; 3 garlic cloves, chopped; 350g red lentils; 1.25 litres Bouillon stock; 1.5 tsps cumin seeds; 0.5 tsps crushed chilli flakes (or to taste); juice of 1 lemon; handful of flat-leaf parsley. Rinse lentils. Heat oil and fry onions until soft. Add the garlic and fry for a few seconds. Add the lentils to the pan and stir well. Add the stock and bring to the boil. (Scoop off foam if there is any). Dry-roast cumin seeds and grind to a powder. Add to the soup with the chilli flakes. Simmer with lid on until lentils are very soft. Add water during cooking if necessary. Add salt, pepper, lemon juice and parsley. Serve with love! 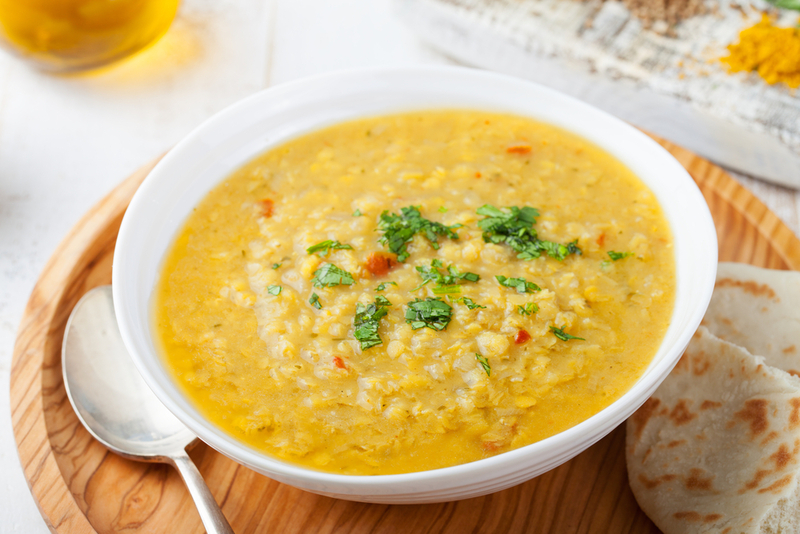 One Response to Lentil Soup for the soul…. After 6 months of severe RSI (repetitive strain injury) affecting my hands, arms and neck I was feeling really depressed. I'd tried exercises and physio but it had no real effect. Jess' treatment worked on a deeper level putting me in touch with my body, changing my posture and resolving my pain.